What to do with your broken gaming consoles? Gut it and turn it into a different gaming console! 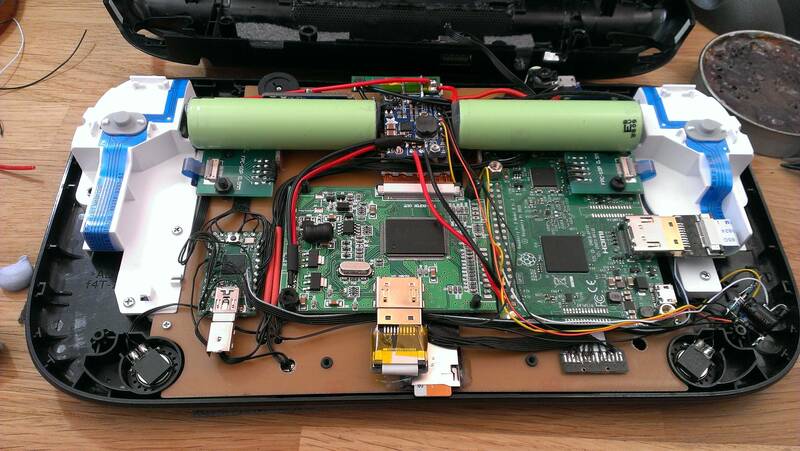 Sudomod forum user [banjokazooie] has concocted his own RetroPie console from the husk of a WiiU controller — an ingenious demonstration of how one can recycle hardware to a perfectly suited purpose. [banjokazooie] actually used an original shell for this build, but if you happen to have a broken controller around — or know someone who does — this is a great use for it. A Raspberry Pi 3 is the brains of this operation (not counting [banjokazooie]), and it features a 6.5″ HDMI display, a Teensy 2.0 setup for the inputs, a headphone jack with automatic speaker disconnection, dual 3400 mAh batteries, an external SD card slot, and a lot of hard work on the power supply circuit — although [banjokazooie] reports that the hardest part was cutting to size a custom PCB to mount it all on. The original plan was to see if the idea was possible, and after a three month effort, it appears to work beautifully. The total cost was approximately $195 USD — but with the stipulation that you don’t fry anything in the build process. There haven’t been any issues to speak of so far despite a three hour battery life when playing the N64 emulator (the only provided figure). A full parts list is provided here, and thorough documentation of the power circuit is on GitHub. For a classic handheld take on the same concept, we featured two RetroPie Game Gear mods last year. I feel that my skillset has been belittled. It’s not enough to be a hacker making things in tin boxes anymore. You also have to be a video editor, a master craftsman and have a native language that has lots of curly brackets. Pretty sure that’s just the Zelda Special Edition WiiU controller. Tho the internal build is very well done. Okay, now THAT is pretty smart… and he pulled it off too. Mad props. 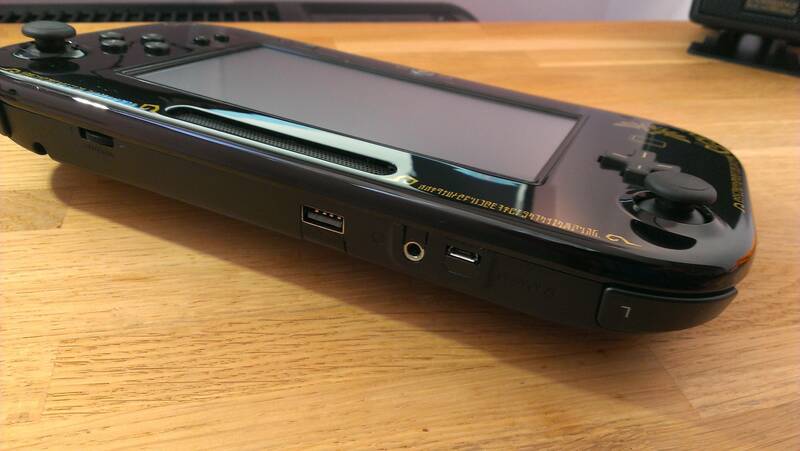 hands down killing any other pi handheld i’ve seen to date. Looks like im buying a broken unit off ebay. Damn is there a guide or video on how to do one as well? Beautiful… Exactly what I want to build…Pi3, Big high rez hdmi screen, analog sticks.. Where is the full detailed build instructions for this exact unit? Veery nice. After a couple of GBzeros I just ordered all the parts at AliExpress.